A Summer Skincare Must Have? Summer’s here so it’s likely your skincare routine will start focusing a little more on reducing the effects of the sun as much as a perfect day/night complexion. Making the move to a BB cream, or ‘Blemish Balm’, means you’re on the right track. They’ve become a godsend for busy women looking for a moisturizer, foundation and sunscreen all-in-one. Just keep in mind not all BB creams are the same, especially when it comes to how they screen the sun and the flow-on effect that can have on the health of your skin. If you’re looking for a broad spectrum BB cream able to protect you from both UVA and UVB rays you need to think about how you want that done because you’ve got two options. Your sunscreen can either reflect those rays or absorb them. To reflect them, look for a BB cream containing mineral zinc oxide like Invisible Zinc’s new Sheer Defence. If you’d rather choose a product that will absorb them, there’s a myriad of BB creams containing chemical based SPF formulas. There’s no right or wrong answer here because with both options, and assuming each has a high SPF and is broad spectrum, you’ll be getting a good level of protection either way. The question is whether you want the sun protection component to be chemically based vs one that works more like a protective shield. If you want to go for the ‘shield’ approach, you have the option to use Invisible Zinc’s Sheer Defence especially since the mineral zinc oxide is less likely to irritate skin and is water resistant. The combined effect makes for an ideal BB cream – something that offers a high degree of sun protection, that can stay on longer day and night, and comfortably due to its light, non-greasy formulation. 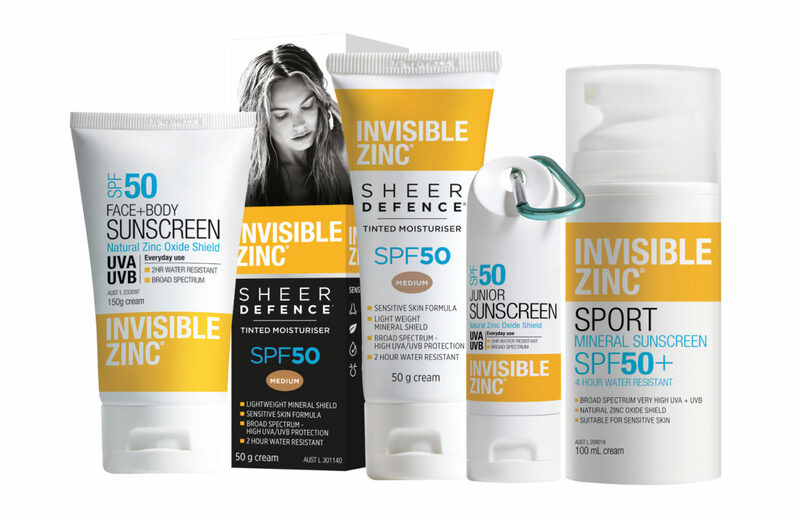 Click here to learn more about Invisible Zinc’s new Sheer Defence formula or Buy Now. Mineral Zinc Oxide provides your skin with a natural protective shield from the sun. Invisible Zinc is based on one key ingredient, naturally sourced Zinc Oxide – a mineral reflector that creates a physical, reflective barrier on the surface of your skin. Invisible Zinc contains no chemical sun filters, is suitable for sensitive skin, and gives you incredible broad spectrum protection from the sun’s rays.